Stuart Maconie chats to actor and director Andy Serkis about his directorial debut, Breathe. 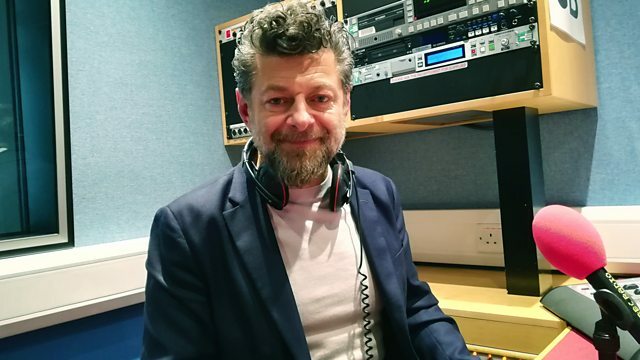 Stuart Maconie chats to actor, director and former 'Gollum' Andy Serkis about his latest film. Famed for his movie roles in Lord of the Rings, King Kong, Star Wars and Planet of the Apes, Andy is making his directing debut with new film 'Breathe'. The biographical drama stars Andrew Garfield, Claire Foy, Hugh Bonneville and Tom Hollander. There's also the trusty show staple The Chain - where you, the actual listener, get the chance to link one track to the one before AS LONG AS IT DOESN'T REPEAT - and Teatime Themetime, where you could gain instant VIP backstage passes to the office biscuit tin by being first to guess what connects all three records. PLUS there's Music News, with all the latest updates on what's happening in the music world, as well as some of Stuart's current fave new releases. Breathe (Original Motion Picture Soundtrack).